And the bagels were truly delicious. Look, I love a great, traditional holiday party. A party that’s fun and silly and has it’s own pazzazz. 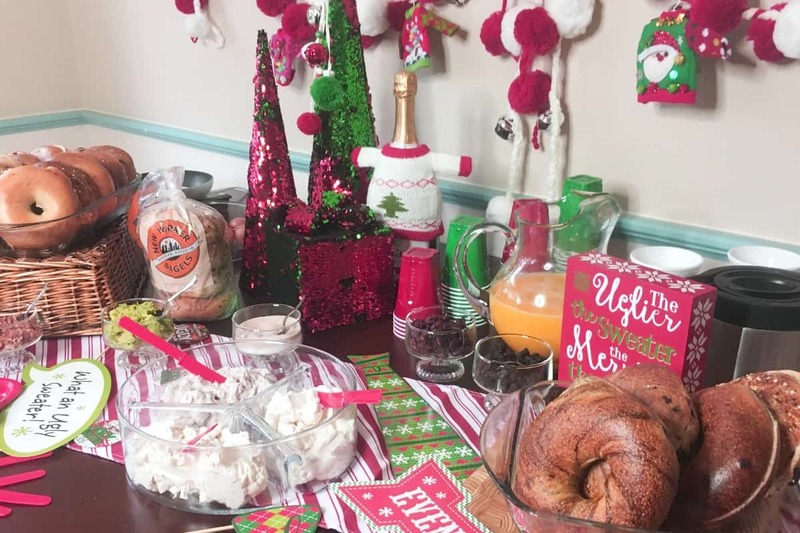 And that’s what you get when you throw an Ugly Christmas Sweater Party and a DIY Hack Your Bagel Bar. And a perfect brunch, if you ask me. Seriously, this party is top-notch. Just like the hand-rolled bagels I snagged. I mean, you’re getting a freaking amazing bagel bar (which features New Yorker Bagels, which are the MOST AMAZING bagels I’ve ever had) and you’re getting an Ugly Christmas Sweater Party. Hmmm…nothing short of a unicorn party with an actual unicorn would be better, honestly. 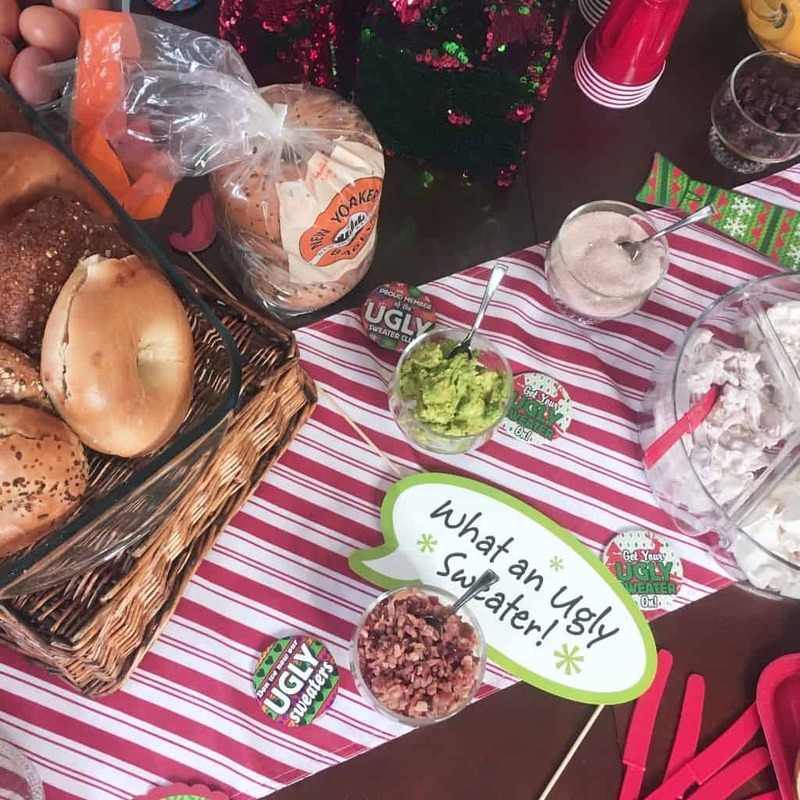 The day or two before you’re ready to have your Ugly Christmas Sweater Party and set up your DIY Hack Your Bagel Bar, order your New York Bagels–they’re delivered overnight, so they’re all fresh and lovely for your party! Yippee! Slice bagels in half. No one wants to see Susan out there slicing her bagel in half during the party…that could get dicey. 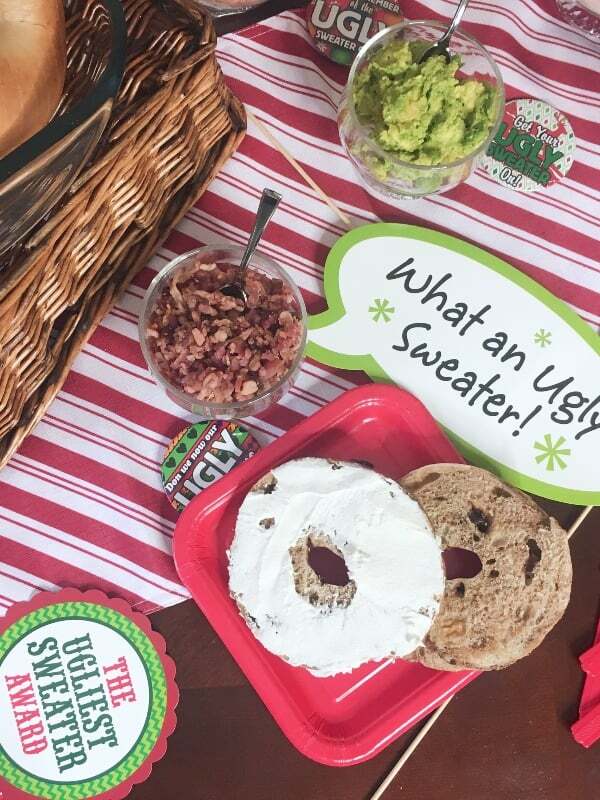 Seriously, the best part of this whole Ugly Christmas Sweater Party was the DIY Hack Your Bagel Bar. The New Yorker Bagels I got were phenomenal–and I’m pretty much in love with the French Toast flavor. Because they do FREE overnight shipping, it’s like basically living down the street–without actually having to live in New York (which isn’t bad, but since I’m in Texas, I’m not in New York…savvy?). 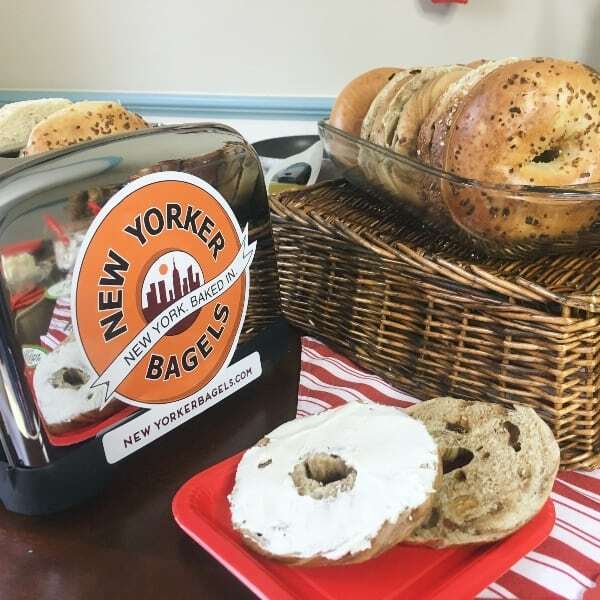 And you can even sign-up for their Bagel of the Month Club (I’m seriously considering making a large order and gifting the best bagels ever to someone very lucky this holiday season…) and try all their delicious wares. Dudes. 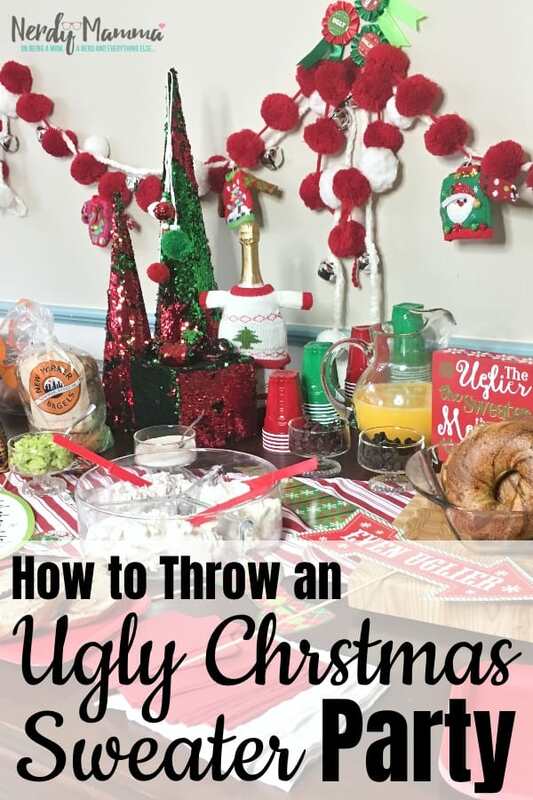 Let’s get festive and pin this tutorial for How to Host an Ugly Christmas Sweater Party and a DIY Hack Your Bagel Bar.